When a couch looks lonely in the middle of a room, pairing it with another a piece of furniture adds visual interest while filling the empty space. Sofa tables are elegant additions to the home, no matter the decor. Sofa tables are placed behind couches to add variety, create extra storage or display space, and allow additional activities in the living room. 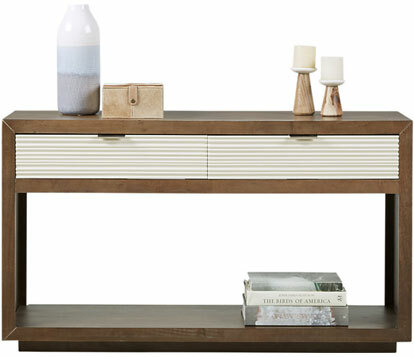 They also tend to have a smaller footprint than bulky consoles or credenzas, saving floor area and maximizing function. Since there are no agreed-upon shapes or sizes for these pieces, homeowners are often curious about how to measure for a sofa table. Many begin by determining the height of their couch relative to the floor. Although end tables are typically no taller than 30 inches, the sofa table should match or be just below the top of the couch. Length is another important factor when pondering sofa table dimensions, as a piece longer than the couch will be visually unappealing and might cause stubbed toes. 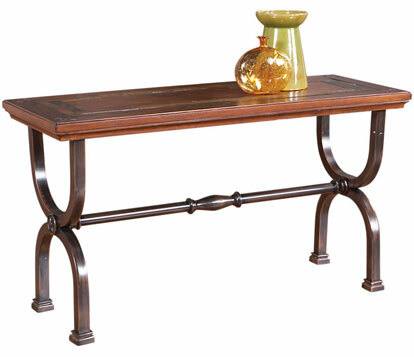 Typically, the size of a sofa table should be about a foot shorter than the entire length of the couch. Whatever your choice, make sure there will be enough room to comfortably walk around the table. Anyone that has ever taken a sharp corner to the hip bone does not want to do it twice. Let the couch's height, width, and color be your guide when determining which sofa table is right for you. Take the room's size into account, as well, to avoid overcrowding your living area with a bulky table. 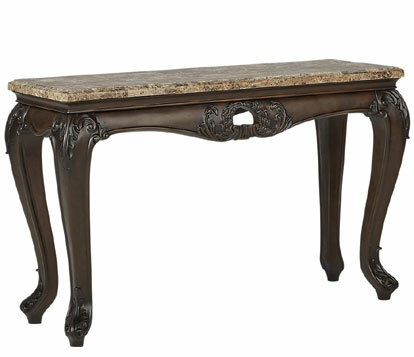 Some homeowners utilize these tables to rest coffee and magazines or eat meals. If this is the case, you may want something a little wider than the 10 to 15 inches typical of common sofa table dimensions. Some people also use larger sofa table sizes for arts and craft sessions or board games. These tables will need plenty of leg room underneath and should be able to accommodate at least three guests. Although typical sofa table dimensions may not allow for much tabletop surface, these standards can be geared towards the owner's unique tastes. The number and style of chairs is also dictated by the types of activities the table will be used for. Entirely decorative, narrow sofa tables may not require any chairs at all. A single adult planning to use the table for reading or eating will only need one chair, likely an upholstered piece with padding and a back rest. For families or those who host events, lightweight wicker stools or two portable benches are a more sensible option. The backless design of these smaller seats makes them great for sofa tables, as they can be tucked underneath and out of the way when not in use. 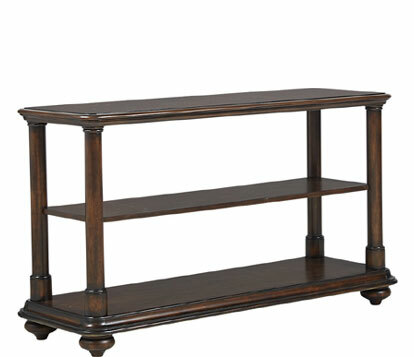 If there is a need for storage space in the home, sofa tables with storage can provide some relief. Drawers or built-in cubbies come in handy for TV remotes, magazines, or beverage coasters. Silverware, napkins, and dish towels can be housed in sofa tables near kitchens. You can also display potted plants, framed photos, or lamps. Just make sure the table doesn't become overcrowded, or it will need to be cleared off before each use. For additional storage, try placing a basket next to the sofa table for magazines and newspapers. As a rule of thumb, sofa table sizes are dictated by the sofa or sectional they accompany. Remember that sofa table dimensions should complement, not complicate, the surrounding interior design. Every space has its own nuances that must be addressed. For example, a curvy sofa table can be used to offset a couch with sharp lines and harsh edges. When selected in the right size and style for your space, these elegant pieces give rooms a polished look, showing that the homeowner has superior taste and a fine eye for detail.